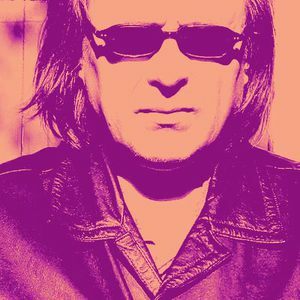 Pekka Airaksinen started in the late 60s playing in an underground performance and theater group called Sperm. But very soon he went his own way. The synthesizers have always fascinated him. Vitamins is his first synthesizer record. It's interesting to hear the synth sound of 1975. The 80s were such a productive time for him. Although he could release only one LP, other releases were C-cassettes for a narrow audience. The new CDR technique made it possible to publish individual music. The catalog of Dharma publishing (Dharmakustannus) is quite large: about 60 records starting from the late 60s. * The Art Music -like compositions. Check for instance Karmapa, 32 regards, Garden of Death, Klass 1-3 or Lake Vostok. * Jazz idioms: Atom Jar & Alphaville. * Techno: Paramitas started the mostly rhythm influenced techno period. Datta, Anudhatta, Keskitie and all Bosonics titled projects. * Ethnic influenced: Gamelan, Tents of thousands. * Hits included among the more difficult tracks, e.g. Play With The Sun And Moon in Karmapa. * New Age -type dream-like or meditative long minimalistic tracks: e.g. Avalokiteshvara or the Vajrasattva in Milk Sea. * The arrangements of old classical music: Four Seasons, Classic hold, Classic hold on. Started in Inner Galaxies with 2 Bach's arrangements.